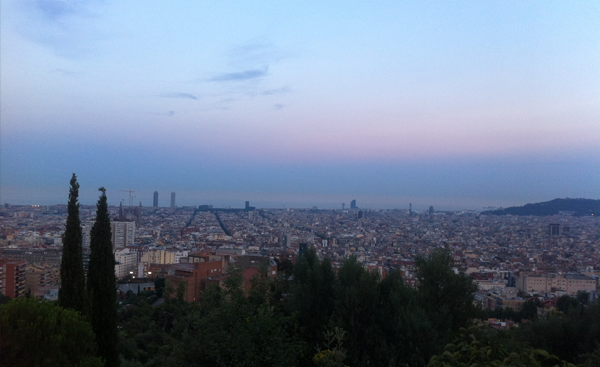 To begin my blog, I wanted to write a little about my experiences here in Barcelona so far. Living in a foreign country makes you realize that you live your life by a routine. You are used to living your life the way it’s in your system. It takes patience to adjust to a different one. All kind of differences you come across: food, culture, language. A total different lifestyle. The Spanish are ‘relaxed’. They are never in a hurry. They love talking. And they sure don’t walk or work very fast (with some exceptions of course). Overall they just really seem to enjoy life. Tranquilo is the answer to everything. All very reasonable, if you consider the heat. However, the siesta-concept I still don’t understand. About 15 years ago, when I was in Barcelona for the first time, I accepted the fact that the shops were closed. You then just visited the Sagrada Familia, or Parc Güell. Happy tourists as we were. But now, living here, it doesn’t make sense. It feels old-fashioned to me. Because of the heat, you don’t want to walk faster than necessary. That part I understand. But nowadays with the air-conditioning in all the stores and offices, why do they still need that siesta? But I guess this is part of their system too. And why would you change it, if it’s part of your lifestyle/culture? What I love about Barcelona, is that the days seem a lot longer. Even if you work from 9-18, there is still the option afterwards, to go to every store you feel like. Everything is open until 20:00 or 21:00. No rushing back home for grocery-shopping or buying that present you forgot to buy in your weekend, because you were at the beach. The mercados are never far from you. After 2 months, I think I’ve finally got used to the fact that they eat that late. I now find myself cooking after 21:00 without thinking about it earlier. Barcelona is everybody’s city. The sun, the beach, the architecture, the culture, the food, the creativity, the nature, the atmosphere… it’s always there. It’s a great experience being part of it. Sjoen stukske teks Lian! En sjoen werk op dien site! Fantastisch stukje, mooi verwoord hoe jij dit alles zo beleeft Site en blog mogen er zijn, en wij zijn super trots op je!!!! !